Creationist-enabling bill passes; what can you do now? The Florida Citizens for Science membership is dismayed that House Bill 989, a proposed law that will affect how instructional materials for our schools are selected and challenged, passed its final vote in the Senate 19 to 17. We believe that should this bill become law with the governor’s signature, people who crusade against basic, established science concepts such as evolution and climate change will have the green light to bog down the textbook selection process on the local level and bully school boards into compromises that will negatively impact science education. The current textbook selection and review process allows parents to have a voice. But this bill would now allow any citizen, not just parents, to formally complain about what’s in instructional materials, allowing anyone with an ideological agenda to protest on behalf of their pet cause. The bill also requires school boards to appoint a hearing officer to consider such complaints, adding onerous extra steps to the process and potential additional expense. We respectfully request that Governor Rick Scott veto this horrible bill. Should he sign it, we must call upon citizens across the state to harness the energy generated from the recent Marches for Science and Climate Marches to protect science education on their local level. Monitor all school board activities that involve instructional materials. Be ready to push back against anti-science crusaders. We fought hard to stop these bills in the legislature. Now it’s up to you to fight hard on behalf of your local schools and students. Below is a detailed analysis of this bill, which builds Florida Citizens for Science’s case for why this bill will be a very messy disaster for science education and school districts across the state. What is the history of this bill? A world history textbook that sparked a heated controversy over the way it covers Islam will remain in Volusia County high schools, the School Board decided Monday after hearing four hours of public comments about its merits and shortcomings. “I’m still confident with this book and its presentation to our students,” School Board Chairwoman Diane Smith said after hearing from nearly 80 speakers with widely differing opinions. The textbook controversy erupted in early November after a Deltona High parent complained about the book’s treatment of the Islamic religion to a Lake County friend, who posted information on Facebook and organized a protest rally before the School Board’s Nov. 5 meeting. But a new Florida law could give both community groups much more power than they have today. And it could lead to many more heated protests over things like textbooks, summer reading lists and other materials used in classrooms. Legislators passed the measure, known as SB 864, last year that gives local school boards more control over materials used in classrooms and opens the school system’s doors to more parents and others in the community to provide input into textbook selection. School boards must provide a process for public review, comment and adoption of instructional materials. And they must adopt a policy to handle objections and a process for parents to contest the adoption of specific instructional materials. School districts can continue to use books from the state-approved list. But the law allows them to create their own review process that follows state curriculum standards and to select their own textbooks that aren’t on the state list. Taking over absolute control of textbook selection and inviting the wrath of local groups that might not agree is not something that school districts in Florida have rushed to do. Katrina Figgett, director of instructional support for the state Department of Education, said to her knowledge no school districts are taking advantage of that part of the law, though districts do pick books that are not on the state selection list to supplement their instructional materials. The protesters mobilized after hearing about a citizen review committee for textbooks, mostly made up of conservative groups, including the SWFL Citizens’ Alliance. The SWFL Citizens’ Alliance is the group also fighting to repeal Florida’s common core standards. ”What we’re finding through our individual reviews is a lot of one world government, a lot of rewrite of history,” explained Keith Flaugh of the SWFL Citizens’ Alliance, who said he too is worried about bias. We are very pleased to report that state Sen. Alan Hays, R-Umatilla, and state Rep. Ray Pilon, R-Sarasota, have filed and are championing companion bills to fix F.S. 1006.283 and its loopholes: SB 1018 and HB 899. The purpose/intent of the original SB 864 was to assign constitutional responsibility for all instructional materials to school boards, and require a transparent policy/process for school boards and parents to remove objectionable materials. Due to several loopholes in F.S. 1006.283, the spirit and intent of the original bill are currently being ignored by many school districts in Florida. The bills included a provision allowing citizens who felt they were being ignored by a school board to override the board’s decision by taking their complaints to the court system. And the school board could have been responsible for paying some legal fees in the end. Additionally, the bills stated that instructional materials would have to conform to Florida’s official state education standards or “standards that are equivalent to or better than the applicable state standards.” Definitions for “equivalent” and “better” weren’t provided, opening the door to a wide range of interpretations. The bills were never scheduled for any committee meetings and died at the end of the session. But the Alliance didn’t give up. They found new lawmakers to sponsor their bill in 2017: Rep. Byron Donalds filed House Bill 989 and Sen. Tom Lee filed Senate Bill 1210. This time they found success. Both bills sailed easily through all of their committee stops, rarely facing any opposition, debate or questions. But the bills diverged in their respective chambers. If both bills passed, the differing versions would still have to be reconciled. But time was running out. The end of the session was near and the Senate bill was still facing its final vote on the Senate floor. So, Sen. Lee asked his fellow senators to disregard the Senate version and instead approve the House version, which that chamber had approved. For the first time, the bill faced serious opposition and debate. But the bill squeaked by on a 19-17 vote. Now the bill will be forwarded to Governor Rick Scott for signature. Why does Florida Citizens for Science care about this bill? 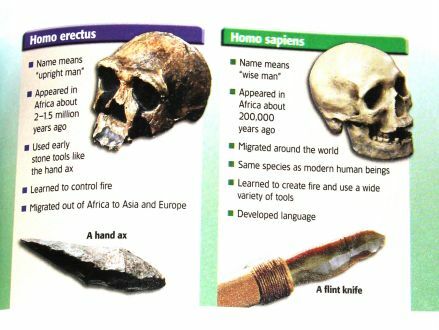 Florida Citizens for Science launched opposition to the bill in December 2015 when research revealed that among the Alliance’s many complaints about textbooks were complaints about the teaching of evolution. Another post on the Alliance’s website details some problems they have with two other textbooks. First, they have complaints about World History Ancient Civilizations that shows a strongly anti-science, creationist viewpoint. They take issue with the famous “Lucy” fossil being called a human ancestor and they question fossil dating methods. They then take a shot at Miller & Levine’s Biology textbook used in 9th grade. The reviewer doesn’t like the textbook’s claim that evolution has been proven valid by many tests in many different fields of discipline. The reviewer writes a long rant about how many scientists find fault in evolution. But the review is packed with creationist talking points. Florida Citizens for Science members were happy when the 2016 bills died. But then the 2017 legislative session kicked off. The Alliance supported the new bills by distributing to lawmakers and the general public an “objectionable materials” list and “sworn affidavits” that describe alleged instances of citizen complaints about textbooks being ignored by several school boards. There are other similar complaints in the objectionable materials list. There are several similar complaints in many of the other affidavits. Keith Flaugh, co-director of the Florida Citizens’ Alliance, a libertarian advocacy group, argued the bills are about transparency and giving communities greater say in school materials, which he said are currently being chosen by “politicized” school districts and “establishment” textbook companies. Similar measures have been considered by dozens of state legislatures in recent years, typically backed by conservative organizations and politicians, and viewed by critics as targeting evolution, climate change and sexually explicit material. “We’re not trying to ban books,” said Keith Flaugh, founder of the Florida Citizens’ Alliance, which pushed for that state’s bill. He said his group is seeking balance in school instruction, including teaching both evolution and creationism and the various arguments about climate change. What do the lawmakers say about their bills and science education? Donalds, whose three sons attend a charter school in Southwest Florida, said the bill is intended to ensure children are exposed to “quality instructional material” that adheres to Florida standards and to provide an easily accessible way for the public to vet classroom materials. His critics — and there are many — argue the bill would give skeptics of evolution and climate change a platform to influence how those subjects are taught in classrooms or whether they would be taught at all. Donalds emphasized such changes could be made only if approved by a school board. Evolution versus creationism has been an ongoing debate in Florida’s public schools. “I think people should be given options on different things like that,” said Beverly Horner of Fort Myers. State Representative Byron Donalds of Collier County feels the same way. “It is important that the public is aware of what is actually in the classroom, and if there are objections to what is in the classroom, we have a process that allows for them to be remedied,” he said. Donalds further said his bill would allow a balanced and non-inflamatory viewpoint on issues like evolution. Sen. Tom Lee, R-Brandon, the Senate sponsor, said the bills are an effort to close loopholes in a 2014 law and make sure residents have a way to challenge school books they view as inappropriate. Most school textbooks purchased by Florida’s 67 school districts come from a list of state-approved instructional materials. And in most counties, residents likely won’t object, Lee said. But Lee was briefly confronted with a few science-related questions during the final Senate debates. He, claimed in Friday’s (May 5, 2017) final debate before the vote that concerns about evolution being stripped from textbooks were products of “imagination run wild.” He stated that the bill only allows citizens to complain about pornographic material or subjects that are not suited to the students’ needs and their ability to comprehend the underlying subject matter. However, in the previous day’s debate on the bill, Sen. Lee referenced the Alliance’s “sworn affidavits” as proof that the bill is necessary. a. An instructional material does not meet the criteria of s. 1006.31(2) or s. 1006.40(3)(d) if it was selected for use in a course or otherwise made available to students in the school district but was not subject to the public notice, review, comment, and hearing procedures under s. 1006.283(2)(b)8., 9., and 11.
b. Any material used in a classroom, made available in a school library, or included on a reading list contains content that is pornographic or prohibited under s. 847.012, is not suited to student needs and their ability to comprehend the material presented, or is inappropriate for the grade level and age group for which the material is used. EVALUATION OF INSTRUCTIONAL MATERIALS.—To use the selection criteria listed in s. 1006.34(2)(b) and recommend for adoption only those instructional materials aligned with the Next Generation Sunshine State Standards provided for in s. 1003.41. Instructional materials recommended by each reviewer shall be, to the satisfaction of each reviewer, accurate, objective, balanced, noninflammatory, current, and suited to student needs and their ability to comprehend the material presented. Reviewers shall consider for recommendation materials developed for academically talented students, such as students enrolled in advanced placement courses. A citizen could say that references to evolution or climate change or even vaccines are not accurate, balanced, or noninflammatory as required in state statute. a. A process to allow student editions of recommended instructional materials to be accessed and viewed online by the public at least 20 calendar days before the school board hearing and public meeting as specified in this subparagraph. This process must include reasonable safeguards against the unauthorized use, reproduction, and distribution of instructional materials considered for adoption. b. An open, noticed school board hearing to receive public comment on the recommended instructional materials. c. An open, noticed public meeting to approve an annual instructional materials plan to identify any instructional materials that will be purchased through the district school board instructional materials review process pursuant to this section. This public meeting must be held on a different date than the school board hearing. d. Notice requirements for the school board hearing and the public meeting that must specifically state which instructional materials are being reviewed and the manner in which the instructional materials can be accessed for public review. 9. Establish the process by which the district school board shall receive public comment on, and review, the recommended instructional materials. 11. Establish the process by which the school district will notify parents of their ability to access their children’s instructional materials through the district’s local instructional improvement system and by which the school district will encourage parents to access the system. This notification must be displayed prominently on the school district’s website and provided annually in written format to all parents of enrolled students. Of course, Florida Citizens for Science’s focus is on science education. But this bill opens the door to protests over literature and history and even math lessons, all of which the Alliance has loudly been complaining about for years. The Alliance is made up of passionate, involved activists who have demonstrated that nothing will stop their conservative crusade. The only way to fight back is to be even more passionate and involved on the local level. You now need to be hyper-aware of your school district’s instructional materials selection process. You need to anticipate which local groups and individuals will gleefully take advantage of this bill if it becomes law. And you need to be ready to defend quality materials against ideological attacks. 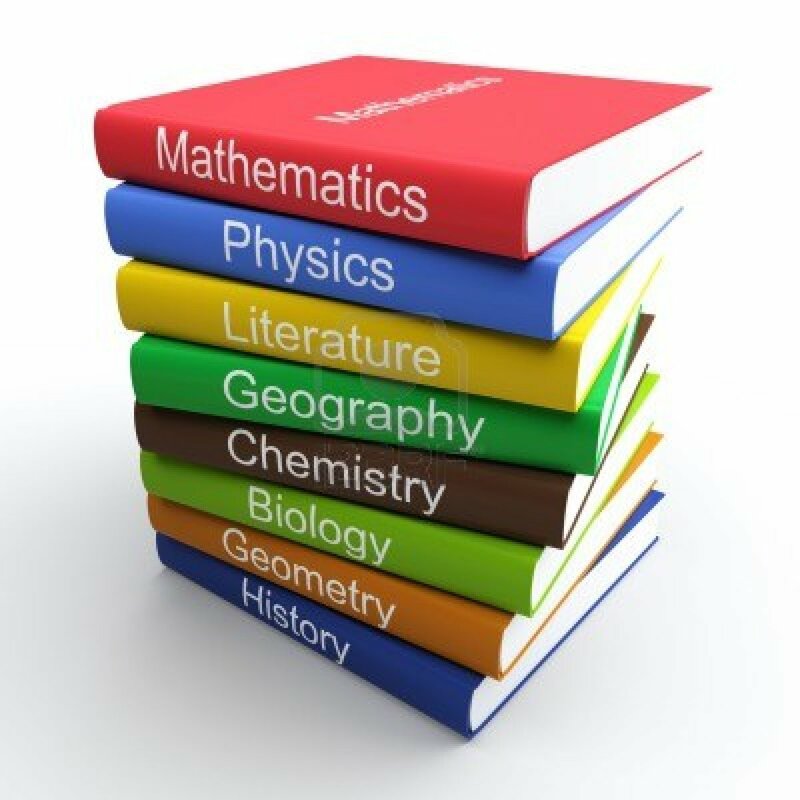 And another important point you need to keep in mind is that according to the Florida Instructional Materials Adoption Schedule (link goes to a pdf), new science textbooks are due to be reviewed and adopted later this year. This lengthy post actually only paints a broad picture of the story. There are many more details that you can learn about in the blog categories Instructional Materials bills ’16 and Instructional Materials bills ’17. 4 Responses to Creationist-enabling bill passes; what can you do now? Brandon, does this apply to “all” schools including charter schools and private voucher schools in the state? Nope. Don’t think so. Just public schools. Really ??? how surprising. Also, how will the arbitrators be chosen and by whom ? Will there be an arbitrator for each subject? Guess what? Every last bit of that is undefined in the bill.